The Silharas (or Shilharas) ruled the modern regions of Konkan, Satara, Kolhapur and Belgaum in India, and were divided from an early stage into three branches. One ruled North Konkan (near Mumbai, former Bombay), the other South Konkan (AD 765-1029), while the third ruled regions of Satara, Kolhapur and Belgaum between AD 940-1215 until they were displaced by the Chalukyas. The North Konkan branch of the Silharas originally started out as vassals of the Rashtrakutas (under Govinda III), sometime between the eighth and tenth centuries. Around the first century BC their territory had been held (at least in part) by the Sakas, but in the early third century was taken by the Satvahanas. Now the Silharas ruled the region of modern Mumbai, Thane, and Raigad districts, which was called Kapardi dweepa or Kavadidweepa in their day. The capital was Rajapur, then known as Puri. Their official language was Kannada and they were mainly Shaivites (worshippers of Lord Shiva). While both the main branches of Silharas were strong patrons of the Elephant Caves, it seems that they did not create them. This honour is generally attributed to Krishnaraja of the Kalachuri kingdom, more than a century earlier. Granted lordship of North Konkan by Rashtrakuta king Govinda III. 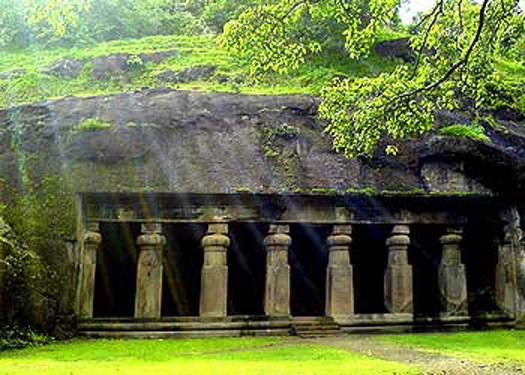 Adityavarman of South Konkan offers help to the kings of Chandrapuri (Goa) and Chemulya (modern Chaul), thirty miles to the south of Bombay. This shows that the rule of the Silharas has spread to encompass the whole of Konkan. At this time, Kapardi is relatively young and it seems that the help given to the vassal ruler of Chaul must be at his expense. His daughter Lasthiyavva married the Yadava king Bhillam. Brother, and probably a usurper. Son of Vajjada. Chalukya vassal. Aparijata allies himself to the Parmara king, Sindhuraja, in his conquest of South Kosala at the request of the Naga king of Bastar. He also rebels against the Chalukyas, and as a result the Chalukya king, Satyashreya, attacks the kingdom, his armies advancing right up to the capital at Rajapur. Son. Dau probably married to Kadamba king, Vachavya of Thane. Arikesarin had taken part in the South Kosala campaign along with his father, Aparajita, and the Parmaras. But the Parmara king, Bhoja, now chooses to invade his kingdom. Nephew. Built the temple of Shiva at Ambarnath near Kalyan. The Yadava kings, Krishna and later Mahadeva, have both been attacking the Konkan, and in this year Someshwara drowns while at sea in order to flee an attack. The Yadavas then appoint a governor of their own to rule the Konkan. The Yadava dynasty at Devagiri is ended, with the kingdom being annexed to the Delhi sultanate, and Konkan probably along with it.